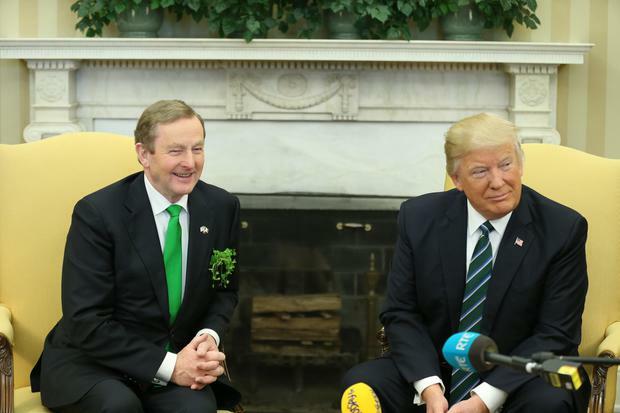 He said they discussed issues relating to Ireland, the US and Brexit at a bilateral meeting in the Oval Office. Mr Kenny also gave a "detailed account of the Northern Ireland elections" during their first meeting. The President asked a number questions about what a border between the North and the Republic had meant in the past. 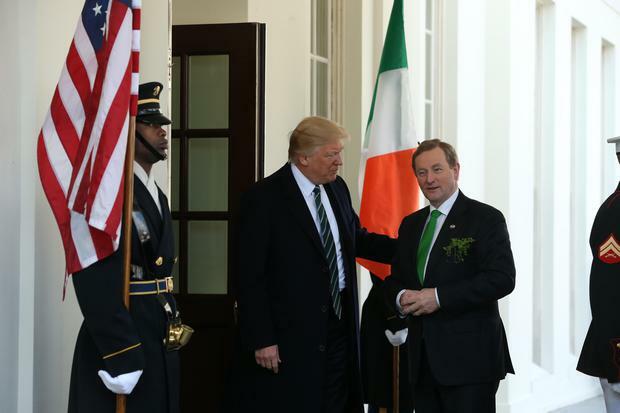 Mr Kenny also described Ireland as a "microcosm" of Europe that had made really difficult decisions in recent years, and Mr Trump was "very complementary of the people of Ireland" for their role in the economic recovery. 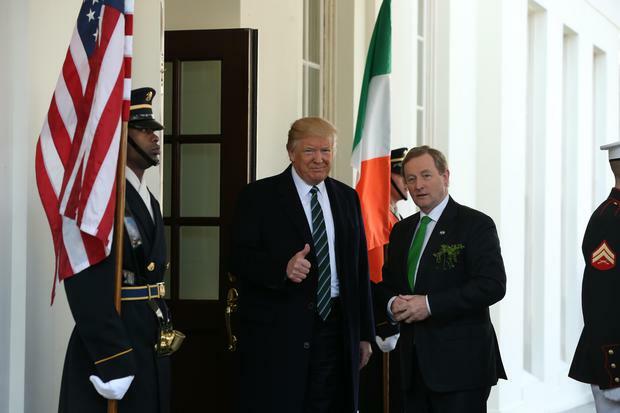 A large part of the talks were taken up by immigration issues with Mr Trump expressing surprise that there are only 50,000 undocumented Irish in the US. 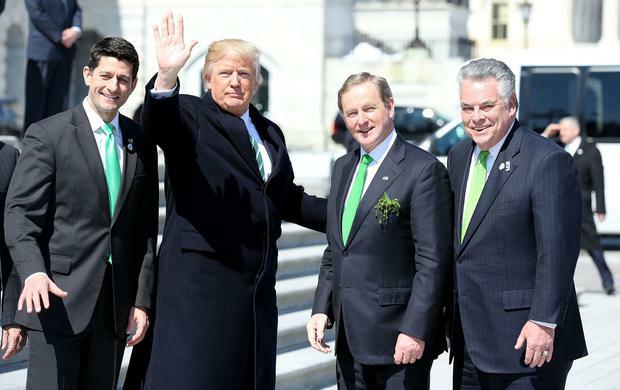 However, the issue of taxation was not discussed despite the proposed lowering of corporate tax in the US causing serious concern in Ireland during Trump's campaign and early days in office. At the end of meeting both politicians agreed to continue "friendly, constructive engagement". 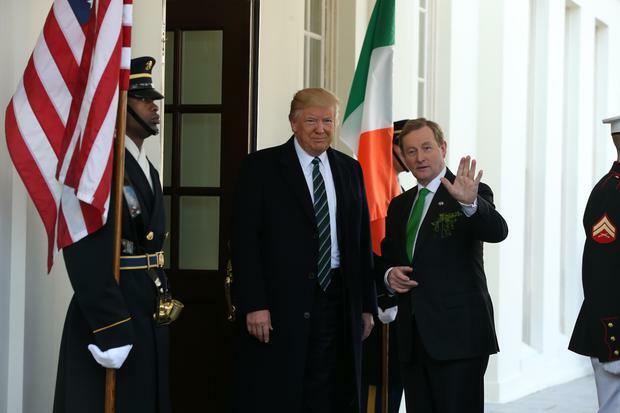 Mr Kenny said he told the President that in Ireland "invitations are always returned"
Mr Trump indicated he will come to Ireland during his presidency. 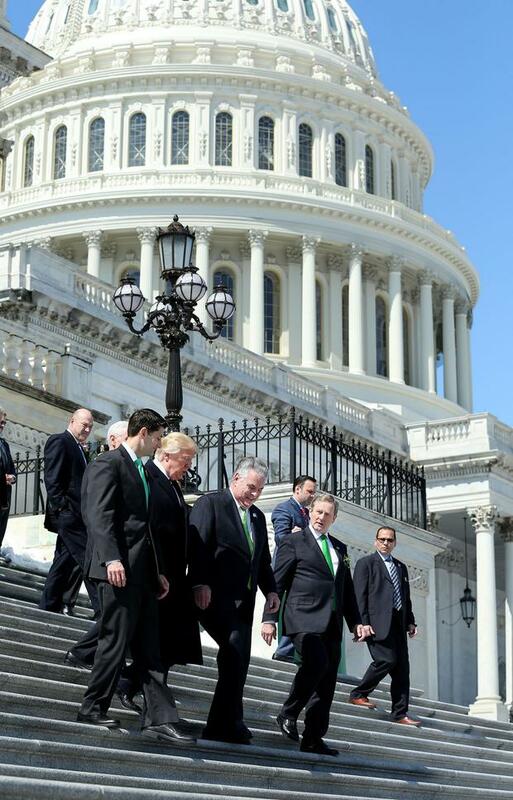 The Taoiseach will later be guest at Speaker Paul Ryan's traditional St Patrick's lunch on Capitol Hill. 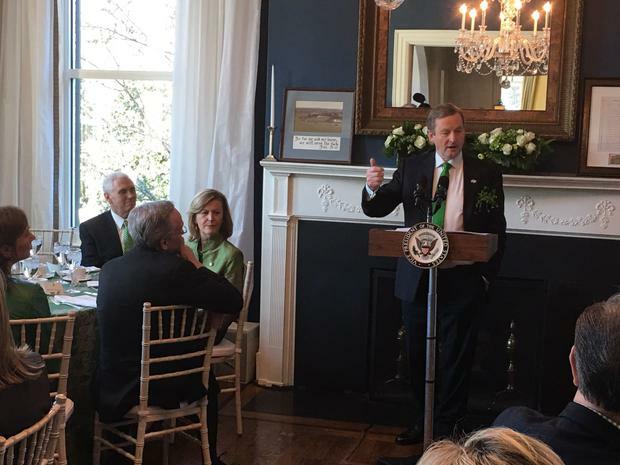 Earlier today Mr Kenny and and his wife Fionnuala were hosted by Mr Pence and his wife Karen at their home for breakfast.